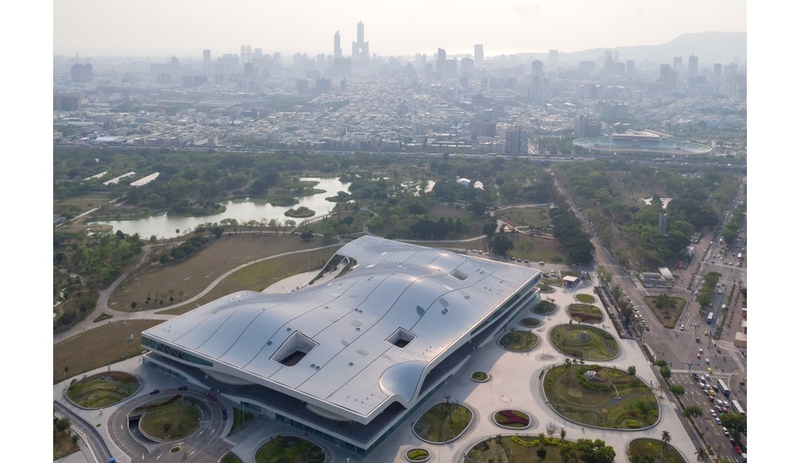 Poised to open in October, the National Kaohsiung Center for the Arts (Weiwuying) has a sinuous roof-scape embedded with open-air spaces for taking in concerts. 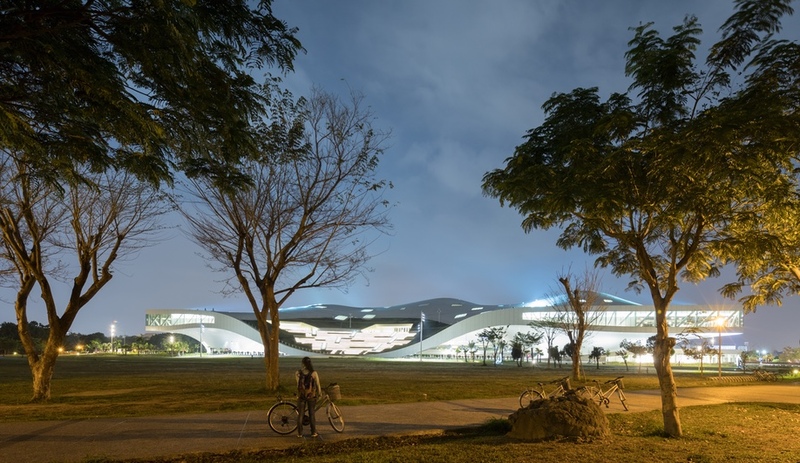 Within Weiwuying, a new arts centre in Taiwan, the Dutch firm Mecanoo has created five separate opera and concert halls – but it’s the rooftop performance space that truly makes it amazing. With its tiered seating, it is carved into the building’s curvaceous fifth facade. 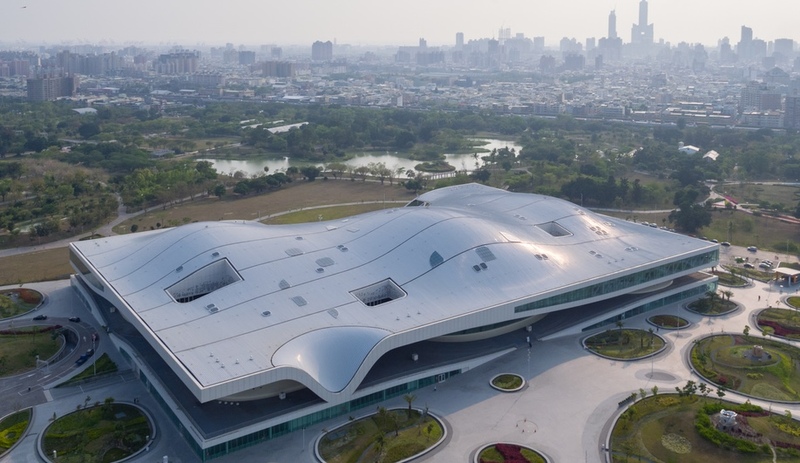 The entire 141,000 sqm project is situated in a 470,000 sqm subtropical park in the south-Taiwanese city of Kaohsiung – it’s the world’s largest performing arts centre under one pretty spectacular roof. 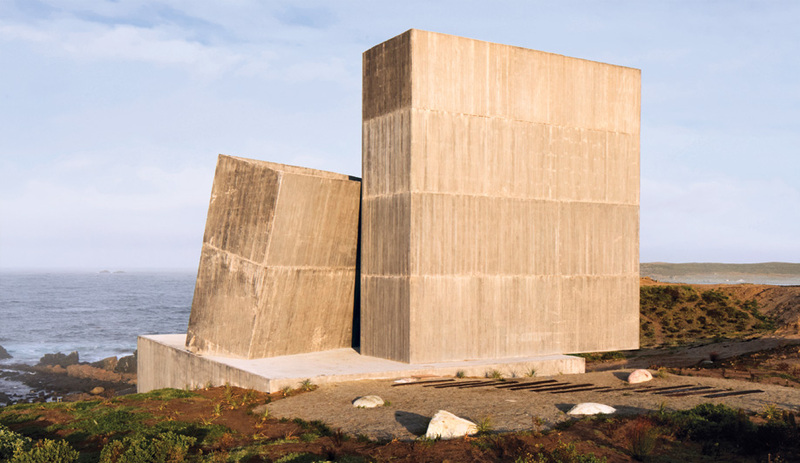 And it replaces a former military site, signifying that the country sees its future as strongly linked to culture. 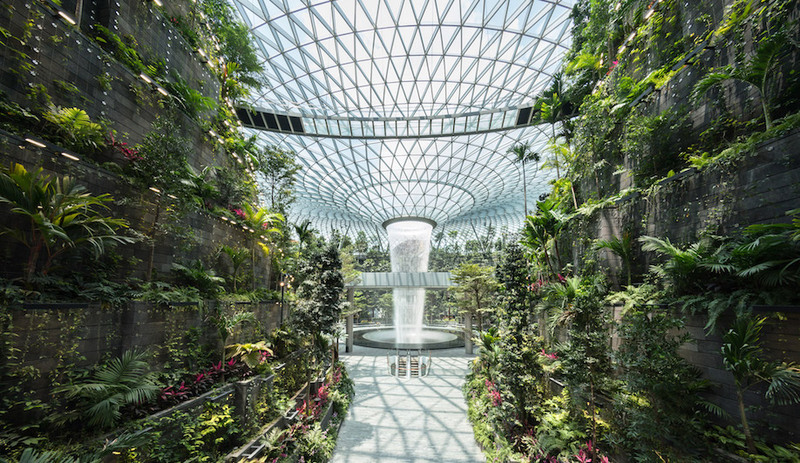 Mecanoo creative director Francine Houben says the project was inspired by Banyan tree canopies. 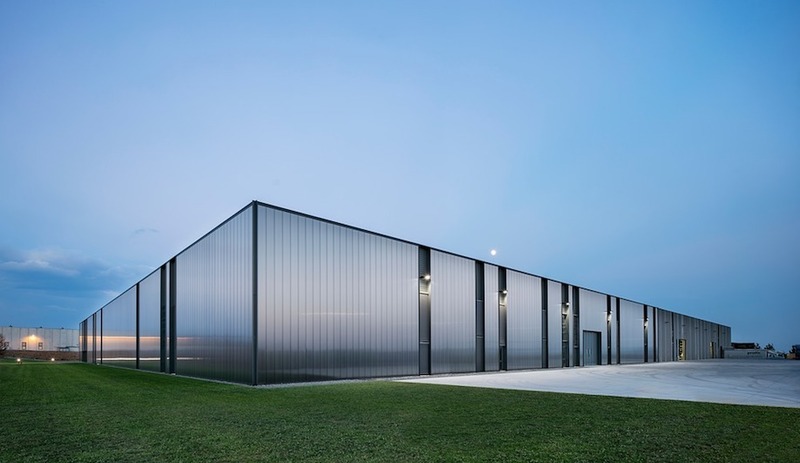 The undulating structure is composed of a unique, rippled skin that sits atop a low-slung, glass-encased podium. Circles are a defining motif of the project, which rests on a landscaped base with rounded cutouts for plantings. When it opens in October, the centre will complete Taiwan’s national umbrella organization that incorporates three flagship institutions: Taipei’s National Theater and Concert Hall and the National Taichung Theater. 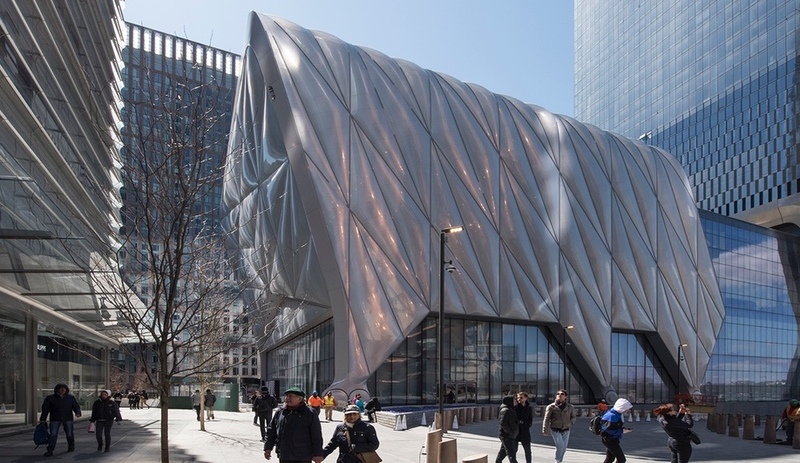 These translate into an array of dynamic spaces: a 2,260-seat opera house, a 2,000-seat concert hall (equipped with a 9,085 pipe organ by Orgelbau Klais), a flexible “playhouse,” seating between 1,094 and 1,254, and a 470-seat recital hall, ideal for chamber music and solos. Weiwuying will host performances by the world’s top artists – the Berlin Philharmonic Orchestra, New York’s Lincoln Center, the Spoleto Festival, Singapore International Festival of Arts, and more will be programming partners – but will also nurture local talent. The three arts institutions it integrates are home to the country’s internationally renowned contemporary dance and theatre companies, orchestras of Western and Chinese music, Peking, Taiwanese and Western opera troupes, hand puppet companies, Oscar and Golden Lion-winning filmmakers, Booker-nominated authors, Mando-pop stars and beyond.